Special Features: This deluxe nursing pillow is hypoallergenic and non-toxic. 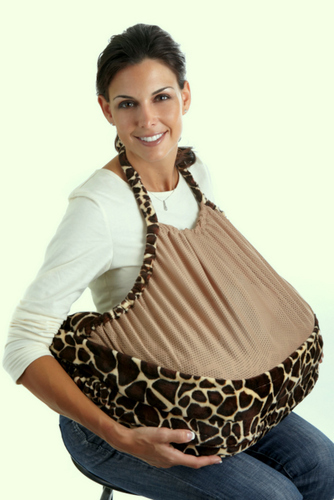 There are so many features, including the mesh privacy cover, angled surface to help with breastfeeding positioning, detachable pillow and waist strap. The fabrics are so cute, featuring animal prints and solids. Two sizes accomodate single babies and twins.